B.A. 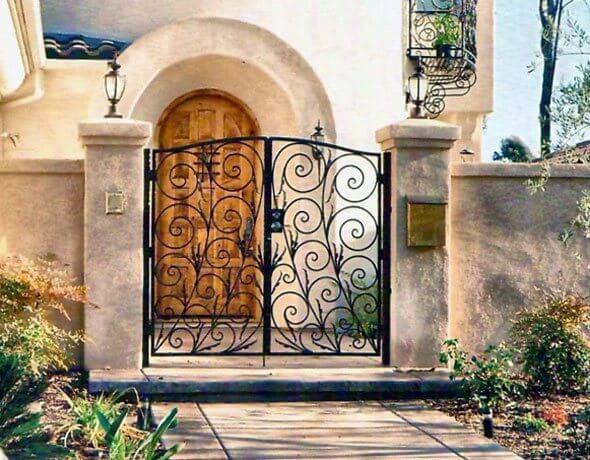 Ramirez & Sons Ornamental Iron Works, Inc. is proud to offer expertly-crafted iron gates, fences, railings, doors, and window guards at affordable prices to National City customers. Since 1980, we have provided our superior iron work to thousands of satisfied residential and commercial clients throughout San Diego County, including National City and surrounding areas. Our work has extended from replacing several pickets on a railing to installing fencing and automated driveway gates to residential neighborhoods. With our decades of industry experience, we're able to design iron structures to each client's specific needs and budget with long lasting, beautiful results. At B.A. Ramirez & Sons Ornamental Iron Works, Inc., we are deeply committed to providing excellent customer service. Starting with free online estimates and consultations, we work with our National City clients throughout every step of their project and stand by our ironwork with written guarantees. 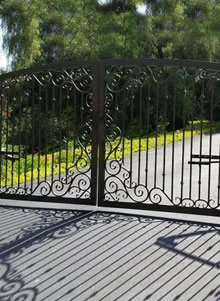 All of our iron fences, railings, gates, security doors, enclosures, and window bars in National City are durably crafted and expertly installed, with options for long-lasting, protective anti-corrosion treatments. We also offer brand name hardware and automated control systems for our iron gates and doors, which are backed by manufacturer warranties as well as our own service warranty. Further, by offering a wide array of decorative customizations, from hundreds of powder coat finishes to ornate embellishments, we're able to replicate any design or realize any vision. As a result of our high-quality iron work, the majority of our business comes from returning customers and satisfied clients referring us to their friends, family and business associates. Call licensed, bonded, and insured B.A. Ramirez & Sons Ornamental Iron Works, Inc. today for custom-made iron gates, fences, staircase railings, balcony railings, guardrails, handrails, doors, and window guards. For more than 30 years B.A. 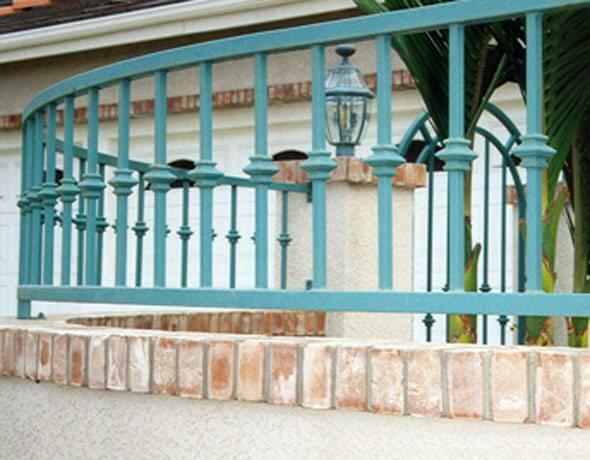 Ramirez & Sons Ornamental Iron Works, Inc. has met the residential ironwork needs of its National City customers. We work with individual homeowners, property managers, and residential communities to provide beautiful iron security fences, property fences, pool fences, pedestrian and driveway gates, staircase railings, ADA-compliant handrails, guardrails, enclosures, doors, and window guards. National City residents love our property line fences, which clearly delineate the perimeter of their residential lots while adding a touch of style. 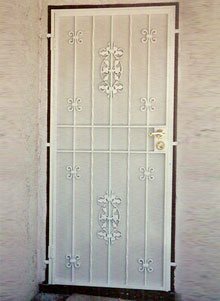 We also provide reliable security fencing systems featuring heavy-gauge steel construction, spear-topped pickets (to deter unwanted visitors), and durable hardware. With our ability to design, build, and install any type of residential fence, gate, window guard, door, or railing, you are certain to get the perfect solution for your needs at a great price. Contact us today for a complimentary online estimate. Iron is the ideal choice for National City commercial clients who want strong, long-lasting, and sophisticated fences, gates, railings, security doors, window guards, and enclosures. With B.A. Ramirez & Sons, you'll be able to choose moderate to heavy-weight steel for security applications and hand-forged ornamental iron for scrollwork with cast iron details for more decorative applications. Our ironworkers average 30 to 50 years of experience and can be trusted to help you meet your needs and budget. Call us today for a free consultation and estimate for an attractive and functional iron fence, door, gate, railing, or window guard at your National City commercial property. When it comes to iron work, our skilled and experienced craftsmen pride themselves on meeting the highest of quality standards. They are able to design, construct, and install iron window bars, doors, and enclosures that increase security while elevating the aesthetic appeal of a home or business. Each window guard, door, and enclosure is custom made and can be built in any design, size, or shape. They can feature simple pickets, ornate scrolls, modern lines, bright finishes, and welded-on cast iron details. We can also install the hardware or access control system of your choice. Contact us today and find out more about the stylish, competitively priced iron window guard, enclosure, and door options we offer in National City. Trust B.A. 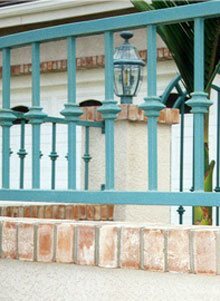 Ramirez & Sons Ornamental Iron Works, Inc. for all of your residential and commercial iron fencing needs in National City. With more than 30 years of experience, we excel at designing, building, and installing custom fences for nearly any application. This includes gorgeous ornamental iron fences, high-security fences, and fences that balance style with function. We offer a wide selection of customization options for our steel fences, and can also replicate an iron fence design from a picture. Our experts will work closely with you to ensure you get the fence you are envisioning. They'll also provide valuable suggestions, such as recommending changes that will correct possible weak points in the design or changes that will allow you to meet your goals but at a fraction of the cost. 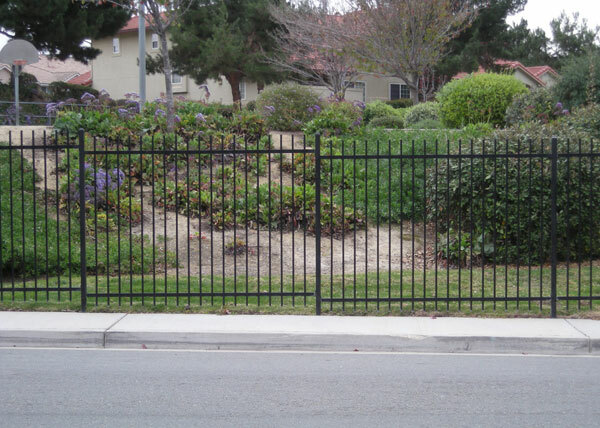 In addition, we offer full-service iron fence repair and replacement services throughout National City. To learn more about our comprehensive iron fencing services for National City, give us a call today. At B.A. 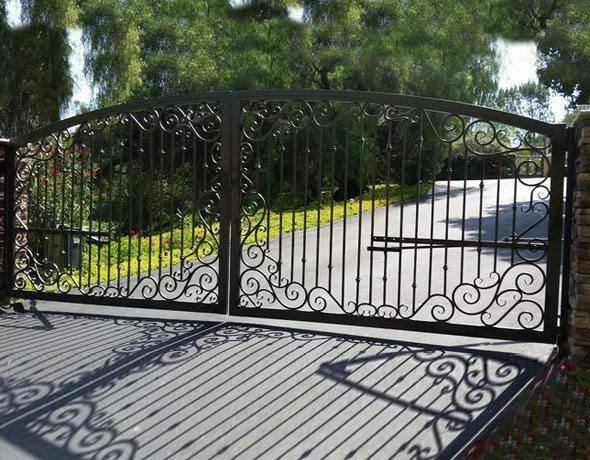 Ramirez & Sons Ornamental Iron, we specialize in designing, fabricating, and installing gates for residential and commercial properties in National City. We are able to custom make gates for pedestrian walkways and driveways that slide or swing open with one door or two. Gates can be given wood, copper or brass backings, and be mounted to walls, masonry, or a coordinating fence. 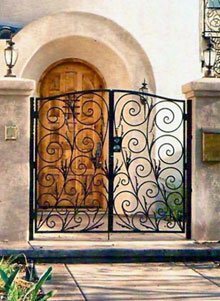 In addition to our wide selection of iron gate styles, we can also feature pickets and/or scrolls, ornamental cast iron designs, and surname initials or crests, and finish it with a galvanized, metallized, or powder coating. For those who want an automated gate, we offer gate openers, card readers, intercom systems, telephone-based entry systems, and more. For those who just want a manual gate, we feature quality handles, knobs, deadbolts, and latches that can be as simple or ornate as you want them to be. 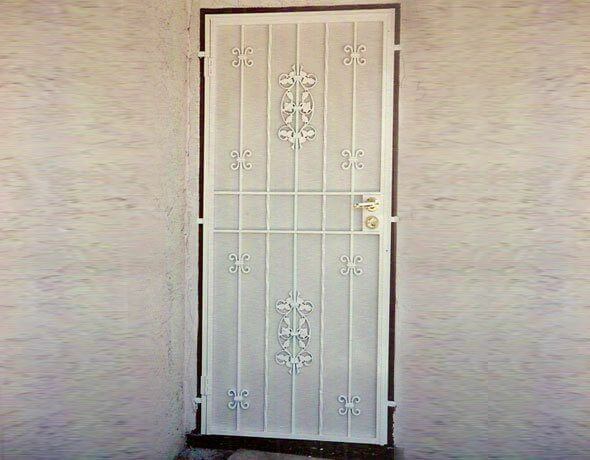 Our prices are very competitive and we will always work with you to ensure you get the best iron entry, security, or access gate for National City budget, location, and functional needs. Call today for a free online estimate. Whether you need a beautifully decorative or strictly functional staircase railing, balcony railing, guardrail, or handrail for your National City home or business, B.A. Ramirez & Sons Ornamental Iron Works, Inc. has decades of experience you can count on. 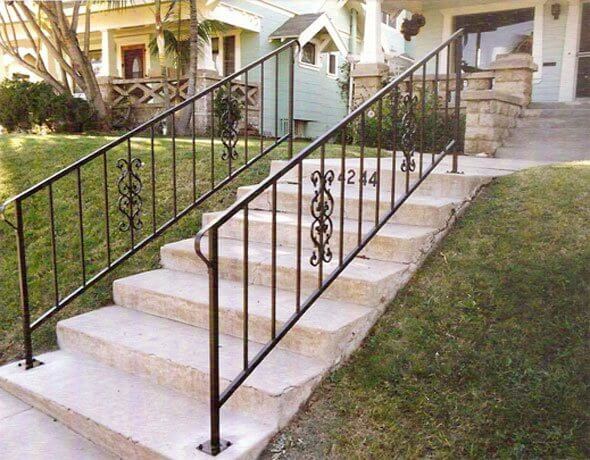 We custom-design railings for balconies, rounded staircases, wraparound/circular staircases, and typical one-floor staircases, as well as guardrails and handrails that conform to current ADA standards. We typically hand forge pickets/balusters, rails, and scrolls out of ornamental or wrought iron and integrate ornamental iron castings, such as leaves, circles, and more. Our pickets and scrollwork can be sanded and buffed for a smooth finish or given a hammered look. We can even keep your wooden top rails and just replace the pickets. 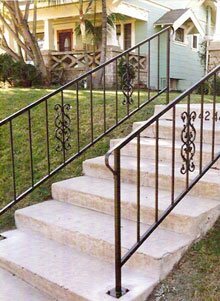 The options are many, so call our iron work professionals today to start designing the perfect iron railing for your National City home or business. While we can make nearly any type of fence, railing, gate, door, or window guard out of iron, B.A. Ramirez & Sons truly excels when it comes to automatic driveway gates. Our automatic gates feature not only our beautifully crafted iron work, from expertly welded steel frames to hand-forged scrolls and casted iron details, but also reliable motors, safety features, and controls. Since each gate is custom designed, we can build your automatic/electric gate to fit any space and have it slide or swing open. We also offer bi-parting gates. Your automatic gate can just make it easier for you to come and go, or it can be designed to dramatically improve security and privacy at your home. Either way, we'll ensure you get the best automated gate system for your needs and budget, integrate the latest safety features, and use our experience and expertise to make sure all elements of your gate system work together smoothly. F11 BA Ramirez & Sons installed this pointed Apache style fence in National City, CA. This commercial fence installation required a 6' high fence with points for security. We used &frac58;" steel tubing for the pickets, then pinched and pressed the ends to give it the desired pointed look. This steel fence was made using all pre-galvanized tube and powder coat paint finished.